their "one of a kind " touch of music and good wines. We have attended all three Amplified events in Las Vegas as well as many of their smaller events at some of the best venues around town. It was a beautiful evening at the Mandalay Bay beach along side their 1.6 million gallon wave pool and once again the bands were top notch. Special guest SHERWOOD warmed up the crowd and the renown GIN BLOSSOMS electrified all of us with their hits. all over the world. A few wine makers made the trip to the beach as well. We stopped in and spoke with wine maker Dan Tudor of Tudor/Radog wines and Richard Oh wine maker of Otter Cove/ Oh wines as we enjoyed the great music and of course those great wines. In our opinion this was one of the best Chris and Sonny have produced . But, we say that every year as each one is better and different than the previous. That's why all of us keep coming back to see what Chris and Sonny of Rock n Roll wines has in store for us next. VINO LAS VEGAS has friends and supporters world wide. Our friend Gilles Despez sent us this short film he made at Chateau de Rieux. This is living proof of what VINO LAS VEGAS has said for years. Food and Wine brings people together from all aspects of life. VINO LAS VEGAS samples wine at Marche Bacchus when 4Winesplusmore came to town with "Winemakers from around the World"
When wine distributor and importer 4Winesplusmore made a stop at Marche Bacchus in Las Vegas with their " Winemakers from Around the World" VINO LAS VEGAS had to attend. told me there were over 50 but we think it was much more than that. We continued down our wine path and stopped at Sandalford Wines which are from the Margaret River in Western Australia. Grant Brinklow CEO of Sandalford had quite a crowd around him as he was pouring these highly rated wines. The Sandalford Sauvignon Blanc/ Semillon and of course the very limited production Prendiville Cabernet Sauvignon were stand outs for us. Gran Resrva Cabernet Sauvignon 2000. We made a quick trip back to South Africa where we enjoyed wines from Clos Malverne from Stellenbosch and of course those great wines from Lanzerac as well. The Spanish section was a real treat when we had the opportunity to try D.O Rioja Alabanza and Entrecepas wines. But those Spanish wines just kept coming with D.O Ribera Del Duero Gondomar and Mirat wines as well. Absum which we had in the past. have been very highly rated and those fuzzy labels make it a stand out. Our last stop was to visit Dalia Ceja and those great Ceja wines from Napa valley. We were at her table for a while as she insisted she take us through the entire line. She did not have to twist our arms and we were glad to comply. These wines are all highly rated and in a word "awesome". We finished this lovely afternoon with the limited production Ceja Dolce Beso a late harvest desert wine which is a blend of Chardonnay and Sauvignon Blanc. Dalia explained there only 300 cases of this great desert wine and it to is highly rated as well. This was a fantastic event and for VINO LAS VEGAS the day was not over as we had a chance to unwind and have dinner with this great group of people from all over the world. Elaine from VINO LAS VEGAS sat down with each one and spoke to them about their wines . quality. 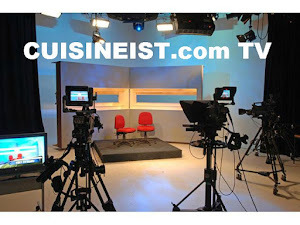 We have had requests from other broadcast media like television to move to High Definition to make it easier for them to use in their format. Our readers and supporters of VINO LAS VEGAS LLC deserve the best that we can provide and we have always tried to accommodate as much as possible. We hope you enjoy the Upgraded lights, sound , and video of VINO LAS VEGAS as we take you with us inside some great events and trips. There is much more to come and this is just the beginning . were all featured as well as many of the winemakers themselves. class and sophistication that this event required. When we arrived that the event we could not help but be impressed by the large marble staircase and a Grand Piano at the entrance to the club. We walked into the ballroom and our eyes were intimidately drawn to the wines lined up at a table in front of us. be the 2nd label of Vieux Chateau Certan. noticed Chateau Moulin de Lavaud and Clos des Menuts Saint-Emilion Grand Cru. The name Bordeaux derives from au bord de l' eau meaning " along the waters" The food , wine and venue provided all that were invited a very special evening with some very special wines. occasions. When we found out he was going to be speaking at The Regency Wines Showcase 2008 we had to stop by. 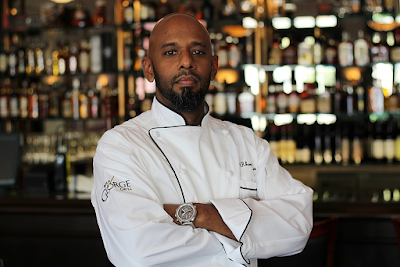 Director at Charlie Palmer's Aureole located at the Mandalay Bay. William graduated in 1998 from the Court of Master Sommelier after being a wine lover from a young age. On this occasion he gave a great talk about balancing boutique diversity with brand name consistency. Join us here at VINO LAS VEGAS as we watch highlights from this very informative talk. throughout the country as well. and wine shoppes all over the world. Obviously the wine had to get from the winery to the final location and that is where the distributor comes into focus. These companies are responsible for " placing " wines into the restaurants and wine shoppes. founded Regency wines in 1995.
International to show off for the Chefs. This was a two day event like we have never seen in the trade. speakers throughout both days. Master Sommelier William Sherer of Aureole and Jeff Eichelberger Sommelier of RM Seafood both gave very informative talks about wine and sustainability. of all types highlighted by wines from all over the world. to taste Right Bank wines from Saint Emilion , Fronsac and Pomerol with many of the winemakers present. This event was held at the Palatial Trunberry Place at Charlie Palmer's Stirling Club. When this two day event was over we felt like we had just spent the weekend in France. And in away we did ! We raise our glass of Champagne and say Cheers to a job well done to Regency , Praml and their entire staffs. We only have one question , will there be a Showcase 2009 ? Keep checking back . without ever leaving Las Vegas. This is a great chance to see an inside look at the Food and Wine Industry. Join VINO LAS VEGAS Sep 13th at Marche Bacchus for a VIP tasting from 'Winemakers from Around the World "
discounted pricing on wine ordered that night! Book ASAP as there is limited availability!! Taste the Prendiville cab rated 96 pts! Danelle van Rensburg- Winemaker and voted as one of the top 6 woman winemakers of South Africa! Taste the Pinotage Reserve, the best South Africa produces! Taste the Pinot Noir poured by the glass at the French Laundry in Napa! Taste the Syrah rated 98 pts! Taste the exceptional Zany Zin old vine Zinfandel from Lodi! as fortunate but finding new places to dine. We have heard about Todd English's Olives located in the Bellagio many times over the years. But with so many great places to dine it takes time to get around to them all. This is great fine dinning restaurant and it is even open for lunch. We enjoyed a fabulous lunch on the patio over looking the famous Bellagio Fountains. We will be back for dinner and enjoy the same view of the fountains and the "strip" under the neon for dinner. Food , Wine and Travel appreciation. Many in the industry respect us for that. We recently stopped in at T-Bones located in the Red Rock Resort and Casino in Summerlin. This is a beautiful restaurant with its large bar, fire pits , and even patio dinning provides a great background for a fine dining experience and we will be back again. The food was what we expected and one of the best we have had off the strip in a while. 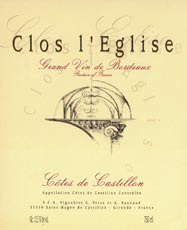 We looked at their very large wine list and found the Clos 1 Eglise Cotes de Castillon Bordeaux 2001 which we had to try. The minute the bottle was opened and placed in the decanter you could smell the nose on this wine. As it opened up over the next 90 mins it only got better and paired well with seafood as well as steak. The Vineyard was purchased by Gerard Perse (of Chateau Pavie) and Dr. Alain Raynaud (of Quinault l’Enclos)It is a typical Bordeaux blend from 70% Merlot and the rest Cabernet Sauvignon and Cabernet Franc. The vineyard is crop-thinned as well as de-leafed, and, as one might expect, the wine making and upbringing are impeccable. Bottled unfined and unfiltered, it exhibits a dense ruby/purple color in addition to a sumptuous perfume of black fruits intermixed with hints of lead pencil shavings, new oak, and earth.